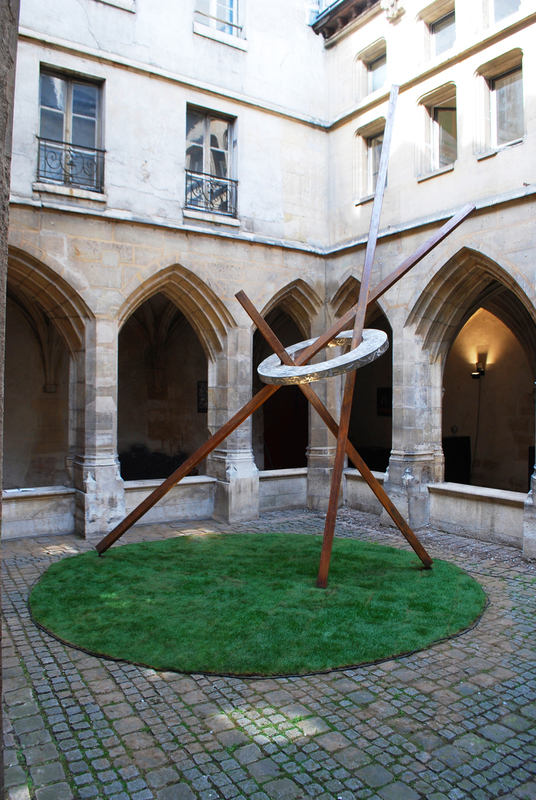 By invitation of the Cloister Thierry Renaudin, “Rumeurs Internes” stands as an emotional response to collective memory & interpretation of a single shared event. Built in 1427 for the Brothers of Charity, the Cloître des Billettes is the only remaining medieval cloister in Paris. This rich site had layers of hidden history within the walls & the city of Paris itself had served as one of many temporary homes for me during my youth. 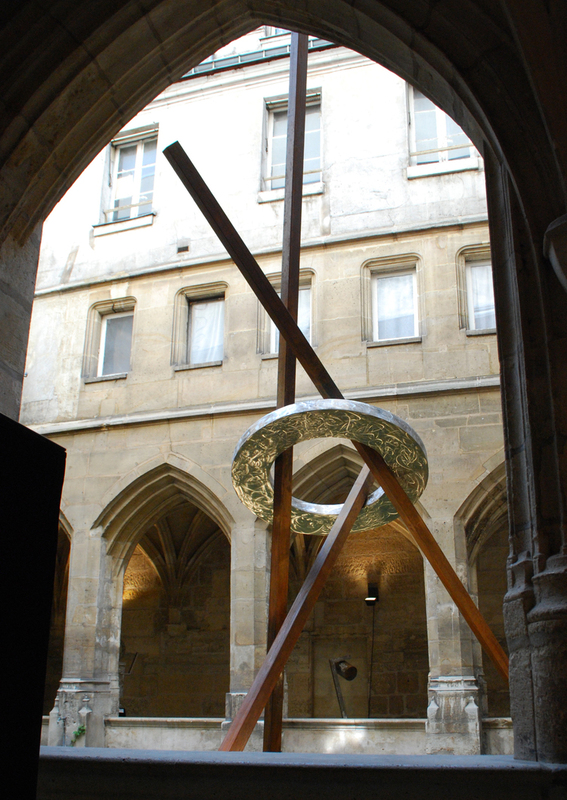 As the focus of the Brothers of Charity was to organize education & provide care for children, adolescents, & adults, the creation of “Rumeurs Internes” powerfully merged elements of challenging days of my youth where perseverance & strength served as my building blocks toward my new home in the United States with the pillars of the Cloister itself. The composition of the sculpture features a ring of truth held high above the viewer’s head supported by the pillars of the people who had experience a shared history & experience.